The smaller member of the fork family - the cake fork is usually three-pronged. Often crafted with a larger, bevelled tine on the left side, it can be used like a knife to portion cake, pies or pastry. Fruit and dessert dishes can also be eaten with a cake fork. The small forks are available separately or as part of a set. Dune, the WMF cutlery designed by Robin Platt is simple and straightforward. The straight, parallel lines with gently rounded edges impart a contemporary, unobtrusive look. The contrasting blade of the monobloc knife creates a striking detail. Dune is an equally attractive as clear-cut everyday cutlery - it can be purchased individually or in 30 piece and 60 piece sets. Whether you are eating a flan, a cake or pieces of fresh fruit, our elegant, high-quality WMF cake forks ensure that you are ideally equipped whenever you succumb to sweet temptation. The cake fork is just as much a part of the well-laid coffee table as the coffee cup and the cake plate. Without a cake fork you would not be able to enjoy your cake half as easily, because its special shape makes it perfect for the job. The cake forks are available with either three or four tines. Which model you prefer depends on your personal taste and respective WMF cutlery collection. A cake fork is much smaller than a dessert fork and in most cases its left tine is reinforced. This is intended to make it easier to cut firmer cake bases or flans when pressed down on the plate. The WMF cake forks match the teaspoons perfectly, and are a welcome addition to any coffee table. It does not matter whether you intend to use your cake fork to enjoy cakes, delicious flans, unusual starters or small appetisers, the WMF cake forks are an excellent accompaniment to any tasty meal. You will find a cake fork to match eevery unique cutlery collection in our online shop. You can of course also order the cake forks from us individually, thereby completing or adding to your cutlery range. Be inspired by the sheer variety of our attractive WMF cutlery. The WMF cake forks sit beautifully in your hand and combine high-quality materials with a unique feel. All edges are carefully rounded and the surfaces finished to perfection. Quality that you can see and feel!  WMF cake forks have been designed to last you for many years to come. When it comes to materials, you can choose between the old tried-and-tested 925 sterling silver and 90g "Perfect" hard silverplated or the Cromargan® stainless steel 18/10 forks. WMF's latest offering is the internationally patented Cromargan protect®, an innovative material that can increase the lifespan of each piece of cutlery enormously. Cromargan protect® has outstanding scratch-resistance and is extremely resistant to any signs of wear. Your WMF cake forks will look almost as good as new, even after many years of use! You can enjoy the high standard of quality and reap the benefits of over 150 years of cutlery development by WMF. Browse through our cake forks category and add the high-quality WMF cake forks to your collection.